Social Media Optimization (SMO) has emerged as an integral part of digital marketing strategy of modern day brand. 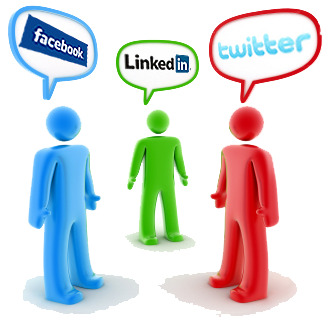 It mainly functions towards enhancing visibility of a brand in a number of social media platforms. This facilitates stakeholders of a brand (vendors, customers, employees, suppliers, employees) interrelate with the brand openly. Digital marketing is the buzzword today. Businesses are adopting this new avatar of marketing these days. Being a part of marketing trend and making a career out of it certainly requires expertise from professionals. And this is what we exactly do. The SMM & SMO Training courses at come4seo are designed in a fashion to help students, professionals; managers and individuals gain detailed knowledge on how precisely to use SMO in order to fulfil the objectives of digital marketing strategy for any brand. We emphasise on teaching you integration and successful implementation of SMO to make you an expert in this field. Our advanced SMO Training in Delhi NCR areas are oriented towards novice aspirants who wish to learn the art of smo from scratch and gain mastery over search media optimization practices. Whether you are looking for a regular informative course to satisfy your curiosity about the SMO trend or wish to turn into an SMO of professional and cult a lucrative career out of it, come4seo offers serious solutions to all your needs. We offer excellent career opportunities to those who are looking forward to carve a niche for themselves in the search engine marketing industry. After completing our specialized SMO Training Course, you will emerge as a full fledged Certified Social Media Optimization Professional. There are many career options that you can opt for when finalizing on a specific training program. Some of the Here are some of the options that you may grab after accomplishing a professional course from come4seo: With a promise of highly satisfying and lucrative career opportunity, we invite you to the state-of-the-art SMM & SMO Training solutions. Reach Come4Seo and experience a new world of opportunities!